Here is article written by a friend and colleague of mine, that I would like to share, which has some useful hints, tips and differences between houses in Canada . 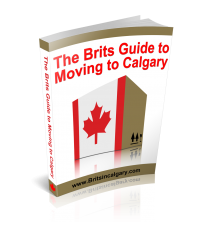 Are you planning to move from the UK to Canada? To start with, consider leaving most of your furniture behind, as they are expensive to ship and might look out of place in your new home. As your estate agent (REALTOR) may tell you, houses and condos (flats) in Canada generally tend to be more spacious than in the UK. One reason being, especially in within Calgary , most homes have a large, useable basement. You will find that there are quite a few differences between houses in Canada and UK as well as in the vocabulary. Most Canadian homes are heated via a forced air system (produced by large furnaces in the basement) and through vents (floor & ceiling) instead of radiators and they often have real log fires/fireplaces. Because wood is still used a lot in the interior design either as wooden flooring, decorative vaulted ceilings, staircases, cabinet doors and furniture, most furnaces have humidifiers attached. Vital in arid climates like Alberta! Paint colours overall tend to be more muted and much darker (even on the outside), furniture tends to be big and chunky and for window covers, Canadians seem to prefer blinds to curtains. In Canada a garden becomes a yard, the lounge a living room and the ground floor is called the 1st floor or main floor. You will take the garbage out, clear the sidewalk of snow, watch soccer or hockey on the TV (up to 80”) in a developed basement and have your cup of tea in the family room. 50 or 100 gallon water tanks supply all your hot water for the two or three bathrooms, the outside of the houses are covered in either plastic siding or stucco, lot’s of Canadians like to use an outdoor hot tub and BBQ’s on the deck are an all year round event! And get ready to take your shoes off! When looking at properties, visiting new friends and neighbours and even at the entrance to schools (when the weather is bad), it is customary to leave your shoes at the door. To buy or to rent when you move to Canada? 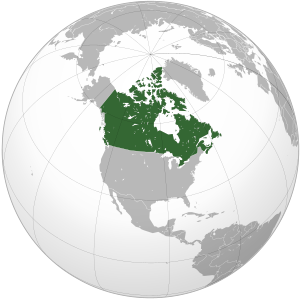 When moving to Canada one of the first considerations you have to make is where you plan to live , followed by do you rent or buy ?There is no real magic answer to this though, as it depends largely on personal preference, circumstances and knowledge. So my aim here is to help provide you with some knowledge that will help you weigh up your options, so that you can decide. Because it is such a big change some people prefer to rent when they move here,whether it be for just a month or two, 6 months or more, this gives you the ability to sort out other financial commitments first, and get a ‘feel’ for the communities/areas. If this is the case, one good place to look for a rental, is www.rentfaster.ca . Here there are lots of private landlords and many of the rental agencies which advertise here, so is a good place to start.With regards to renting/tenants rights a good resource is www.servicealberta.ca/Landlords_Tenants.cfm. Note most landlords ‘prefer’ long term rental agreements, but do feel free to ask for what you want, e.g. 6 months or so. However, if you want to ‘settle’ in and want to take advantage of the slower market and low rates,(as of Dec 2011) and hence plan to buy soon after your arrival, this most definitely can be possible, and financing (e.g. new mortgage) when you are new to Canada is an option with a fairly low down payment,, but with the right steps in place. So, if you are planning to buy fairly soon after your arrival- it is worth speaking to a mortgage broker well in advance ,if possible, to make the transaction as smooth as possible, and so that you have all your ‘ducks in a row’ for when you move here. (see my local services section for 2 GREAT mortgage brokers- who have had much experience dealing with expats obtaining mortgages in Canada). Or if you are simply unsure, and just want to discuss your options, and weigh up the pro’s and con’s, I am always happy to discuss, so feel free to email or call, having ‘been there,done it and got the t-shirt’ I am always happy to help.